When she receives the news in late 1944 that her baby's father was shot down in the South Pacific, Amelia Richards loses hope. Jobless and broke, she has nowhere to turn for help but her infant's paternal grandparents. The only problem is, they don't know that she--or their grandson--exists. When Amelia discovers that the family is wealthy and influential, dare she disclose the truth of her relationship with their son? Or could the celebration of the arrival of another unexpected baby nearly two thousand years ago be the answer to her dilemma? 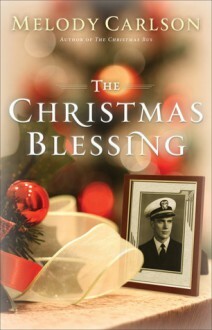 Beloved author Melody Carlson pens a story of love, hardship, and reconciliation that will leave readers filled with Christmas joy.